Now first I have to say, the colour palette is so not me! I am so not a browns kind of girl. Also I realise that my colours are probably a tad warmer than compared to the originals. 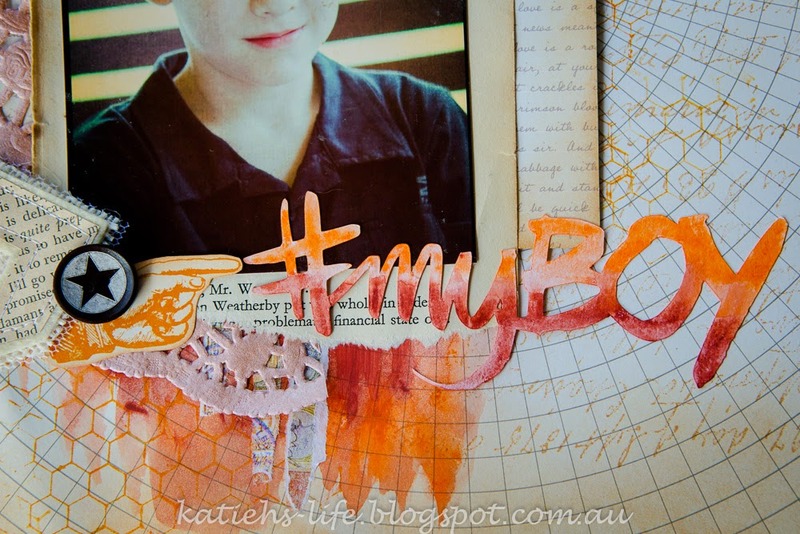 So keeping this in mind, I got my Tim Holtz head on and started! All in all, I am fairly happy with the result. I used lots of stamping and inking and water colour crayons to create and colour the background. But I have to say I am in love with the metallic Distress Stains! I used the antiqued bronze one to colour my doily and it looks like it has been leafed in copper! Of course I had to add a Charms Creations piece, and what better than a chevron with book paper, it perfectly suited the tones and colours in the page. Love this cut file from Wilna Wurstenberg. It was in a set hashtags-1 I think. I cut it out of water colour paper and then used my water colour crayons to colour and blend. How cute are these little hessian butterflies?! They came from D-lish Scraps, from the Little Birdie range. 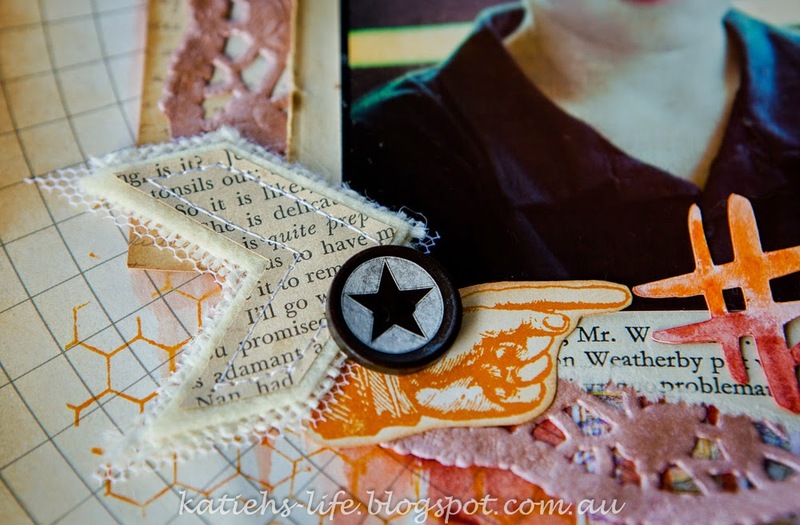 The little bits tucked under the photo were Tim Holtz stamps , and the torn washi strips came from some old Prima collection (I think!). So, there you have it, a very "not me" page! Your page is amazing! Congrats e thanks for playing with us on OTR!!!! 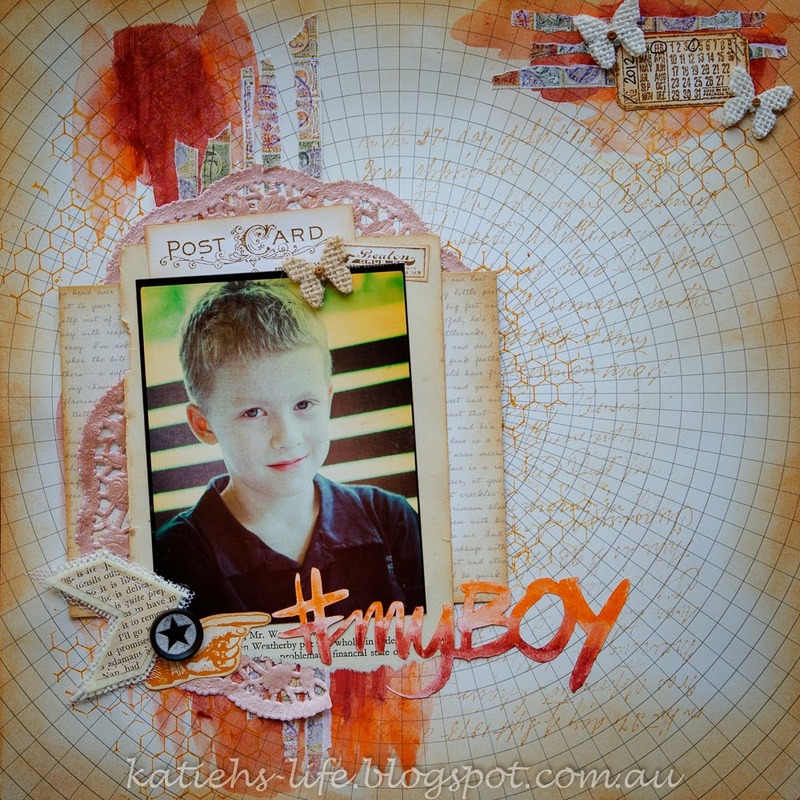 Stunning layout, love your take on our challenge at OTR, thanks for joining us. fabulous Kate! 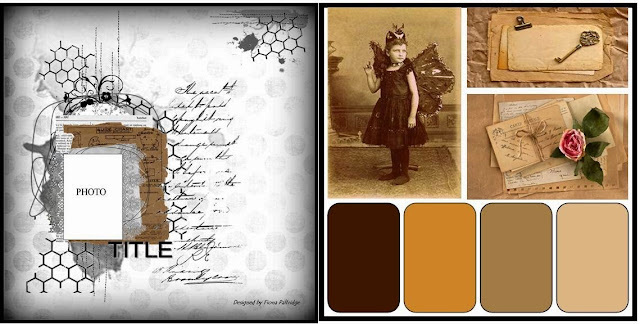 I love your adaptation of the colours - gorgeous! I love your page, from the background to that bright hashtag title! 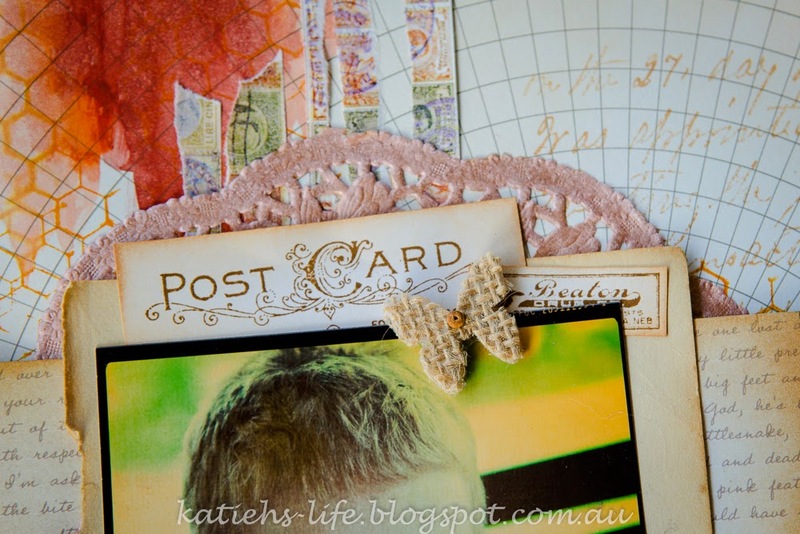 Thank you for playing along with us this month at Off the Rails Scrapbooking! Show Us Your Stuff - last minute entry!